I’ve been writing all day, furiously scribbling and typing out my feelings. Today is a day I dread more than ever the anniversary of my Mom’s death. I cry, write, read stories we wrote together, and listen to her favourite Elvis music. Two weeks ago I shared my list of thankfuls for my dear Dad. Today I will share about my Mom. She was my gift and I will love and miss her till my last breath. 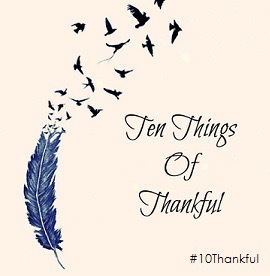 I’m proud to share my memories and thankfulness on the TTOT linkup with Lizzi and her ever faithful thankful family. I’m so thankful that my Mom decided to have me her sixth child and third daughter. She was older yet I think she knew that I was meant to be. I was sickly when I was born so I’m thankful I got to spend that extra week in the hospital bonding with her. She would tell me stories of how I would look up at her as she fed me with this baby face and bright blue eyes of wonder. I’m thankful that she taught me the magic of books and how to read. My life has been full of all the adventures I’ve taken myself on with my love of words and wonderful memories. I loved when she would read to me and change the inflection of her voice and turn a story book into an interactive experience. I’m thankful for her beautiful smile even when she was tired as I wasn’t much of a sleeper as a child. She would read to me and T ell me stories she’s made up on the spot. She was so loving, kind, caring and an amazing story teller. She loved her children and Grandchildren with all her being. She was proud to show off pictures that graced her walls and upright piano. As beautiful as she was she just glowed when she held a child on her lap. I’m thankful for her brilliance. She wanted to be a teacher but she didn’t want to leave her parents to go away to study. She was very close to them as their only child. So instead she worked around town, met my Dad and fell in love. First came marriage, and many baby carriages and she had herself a full family to teach. I’m thankful for her gift of laughter. She could always find the humour in something. She would look for the silver lining and say this too shall pass sadness doesn’t always last. She had a beautiful laugh that would rise up from her toes and she’d slap her knee in emphasis. She taught me how to impersonate characters on tv and in the movies. I would get her into a fit of giggles when I’d do my Tim Conway impression from the Carol Burnett show. I’m thankful for all the times she let me stay up late watching old black and white movies with her. We’d have tea and treats and is watch the classics with her like Gone with the Wind, Citizen Kane, and every Elvis movie we could find. She had quite a collection of his movies that I’m proud to covet today. Our favourite was always his first Love me Tender and I sing it for her when I’m lonely for her presence. I’m thankful for my memories of singing and doing the dishes with her. She even made a mundane task like that fun. We would sing all the Irish classics and she’d dance a jig around the kitchen. My heart would leap out of my chest as I joined her twirling around until I was dizzy with love and enthusiasm. I’m thankful for her talent of writing. She was so gifted with her thoughts and expressions and we collaborated on many stories together while in school and after I graduated. She would also make up silly poems and limericks and keep me in stitches with how funny she could be in real life and on paper. I’m thankful she taught me to be brave and follow my dreams. It’s because of her guidance that I started writing and sharing my heart here on the page. She guides me still and I write for her always in my mind and spirit. I’m thankful she was my biggest cheerleader and my sounding board. I could and did tell her anything. She knew I could see and feel things about people and never made me feel like I was weird. With being empathic in a very sensory overloaded world was a gift and cross to bear that we both shared. She was my guiding light, truth seeker, lover of people, compassionate, kind, and had the strongest love and faith in God. She gave her heart to those who were deserving. And a piece of her intelligent mind to those who were not. Another great post that pulls the heart strings. Beautiful, beautiful, beautiful. What an amazing tribute to a lady who must have been INCREDIBLE to know and love. You are so lucky to have had her, and I’m sure that her legacy will live on in your actions, and pass onwards to your children. 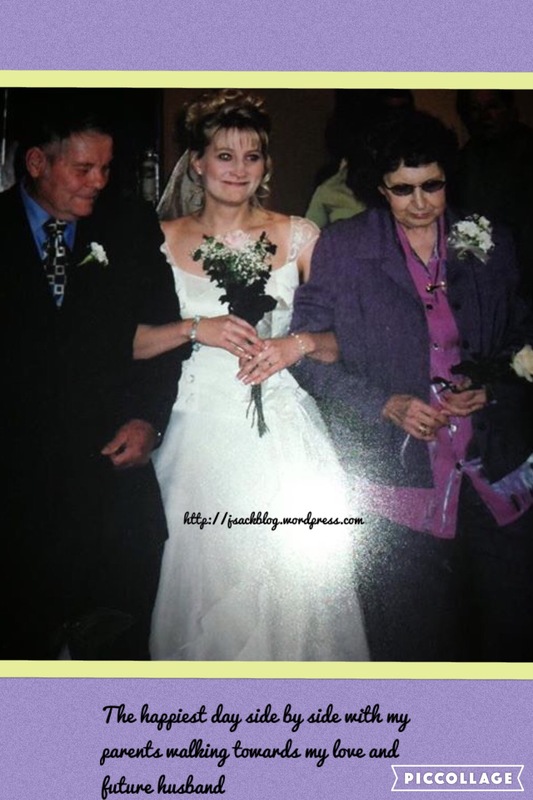 lovely tribute… Its so obvious you see how fortunate you are to have had her and how much you will continue and instill in your own children because of her. This is such a sweet tribute to your mother! She sounds like my mother in many ways, and it’s bittersweet to read this, as my mother is in poor health right now and I’m not sure how much longer we will have her here on earth. By the way, I wasn’t a good sleeper,either, and when my kids were born and were both excellent sleepers, she laughingly told me I didn’t deserve it! 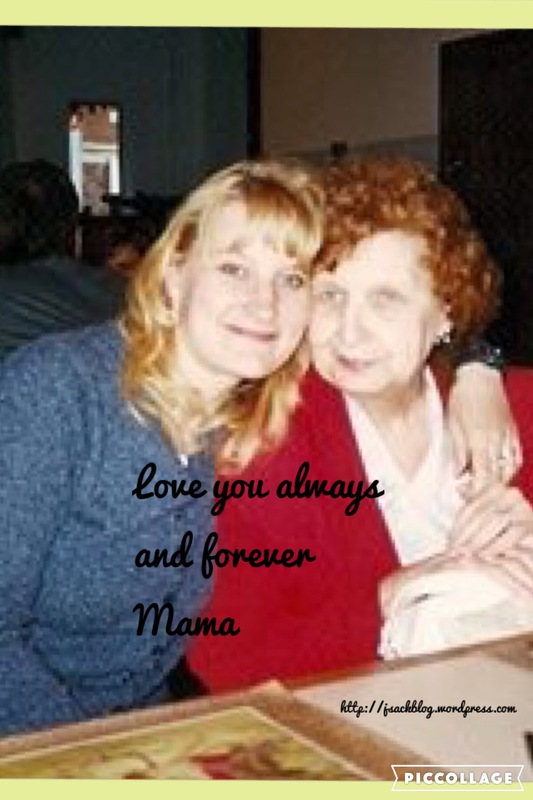 Very special gratitude post – my wife wrote a similar list of appreciations about her Mom after she died, nearly 5 years ago. Hope she’ll share it online someday. Absolutely beautiful post. and I’m sure, wherever she is, she’s super proud of you.